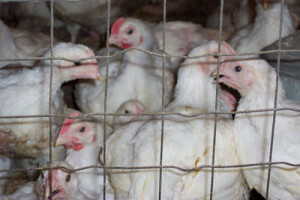 Federal health officials are urging local public health officials to be on the lookout for signs of avian flu in people. Since the start of the outbreak, the Centers for Disease Control and Prevention has said bird flu poses little risk to humans, but there is a risk. More than 45-million birds have been affected by avian flu, most of them in Iowa. So far, there are no signs that the virus has infected humans or any other mammals. In the past, people infected with other strains of avian flu have become severely ill and even died.